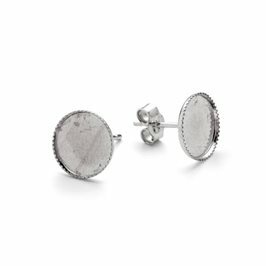 These sterling silver earstud settings for cabochons have pretty, scalloped edges and are really simple to make into lovely delicate stud earrings in your favourite gemstone. 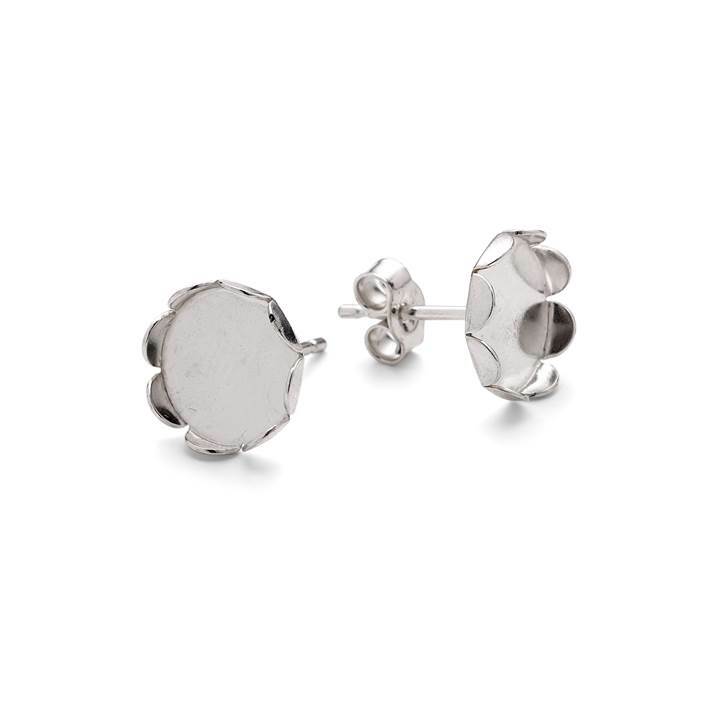 Available in 8mm round, the scalloped detail makes it look like the stones are delicately held in place by the petals of a flower. 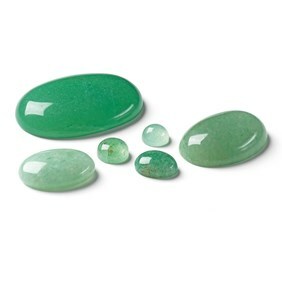 Simply glue your choice of cabochon stones into the settings using Devcon 5 minute epoxy glue. 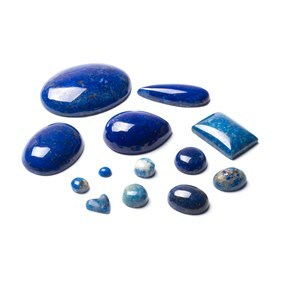 Sold in pairs complete with scrolls, all our earring settings are supplied without stones so you can choose your favourites from our huge range of cabochon stones.